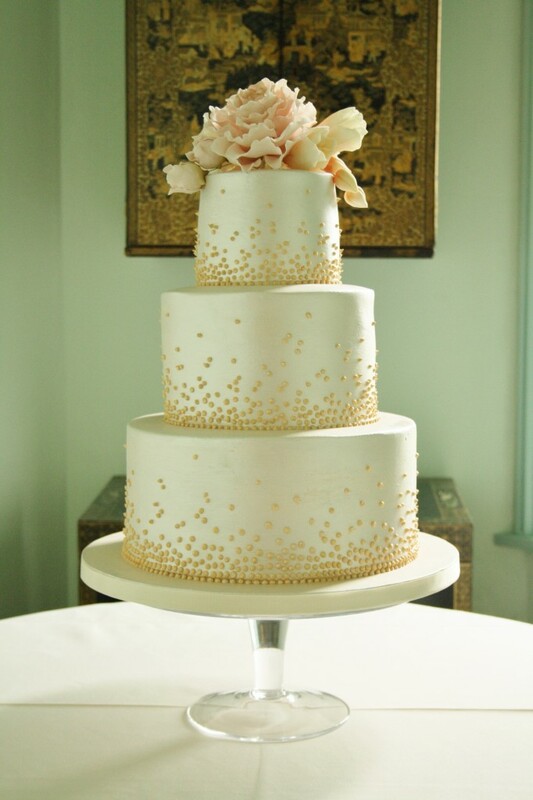 Three Tier Wedding Cake at Wadhurst Castle, Sussex. 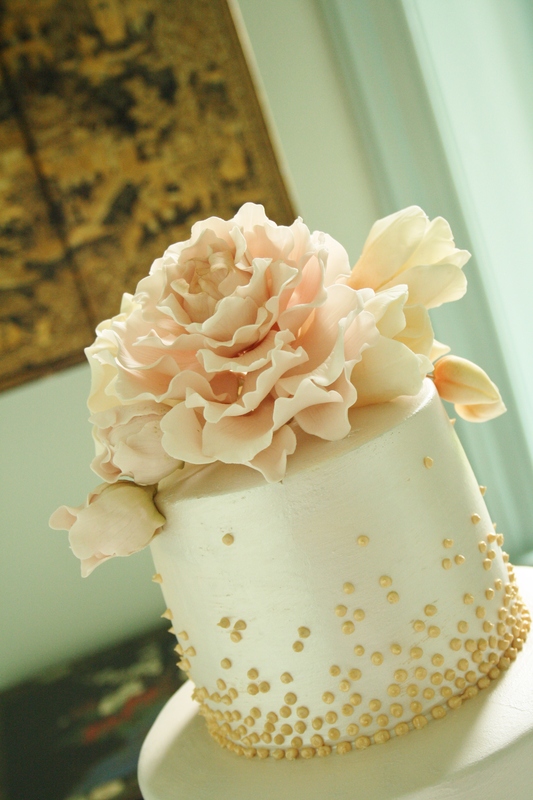 Finished in pearl lustre with hand piped gold lustred graduated beading to each tier, topped with Sugar Peony and Buds, Sugar Rose and Buds and Sugar Tulip and Buds. Top tier moist rich fruit cake marzipanned and iced, middle tier fresh Lemon sponge with whipped Lemoncurd buttercream in white Belgian Couverture chocolate ganache, base tier Dark Belgian Couverture Chocolate sponge with whipped ganache filling, covered in white Belgian Couverture chocolate ganache. Cake serves 100 finger portions.